Prices of items and postage are in Euros (€) and are final. In accordance with 1st paragraph of 94th Article Value Added Tax (VAT-1) , we are not subject to VAT. Goods are delivered through the Post of Slovenia. As a customer you have all rights under the Law on Protection of customers. Goods can be ordered 7 days a week and 24 hours a day. To order pre-registration is required! The product can be searched by product groups in the left column. Simply select the desired category. In the middle of the screen, products are displayed from the selected category. By clicking on the product name or picture, you open a new page where the product is extensively described and where you can zoom the image. With the click on the button "Add to Cart" you can add desired products in the shopping basket. After you`ve selected the products you wish to purchase, click on the "Checkout" button, which then automatically goes on the next page and shows you the cost of postage (when you buy over 150 € it is free of charge, otherwise it will vary depending on the package weight), then select payment method. If you choose to collect, you have to pay mail costs charged fees (approximately 0,96€, applies only to Slovenia) - this also applies for orders above 150 €- charges are made bye Post of Slovenia. If you decide to pay by proforma invoice, you avoid these costs. You also avoid these costs id you pay via PayPal. On this page you can also change the address for delivery, if it is not the same as your address from the registration form. By clicking on the button "Continue", you are directed in the next step where you check your information, ordered products, shipping, payment option and total price. Here you can change anything. Then click on the "Confirm Order" button to confirm your order. The purchase is successfully completed. In a few moments you will receive a confirmation e-mail on your e-mail that you provided on the registration form. If you wish to change the contract in anyway, contact us as soon as possible on our e-mail at info@emmi-nail.si. After this the contract for the purchase of the ordered products between the customer and supplier is concluded. Contract is stored at the company, a subscriber has access to a copy of the contract by written request. The seller packs the promised goods in the promised time (up to 3 days) and informs the buyer of his shippment by e-mail. This all applies to orders within Slovenia. If you live outside of Slovenia, contact us on our e-mail info@emmi-nail.si. The warranty is 12 months, unless otherwise indicated. There is a warranty card along each product, and the warranty can only be used by accounting the warranty conditions. This warranty does not apply to supplies. Guarantee is invoked with a copy of the invoice and warranty sheet. All factory defects and shortcomings that arose during the warranty period will be rectified free of charge. - damage caused by mechanical shock to the fault of the buyer or third parties. 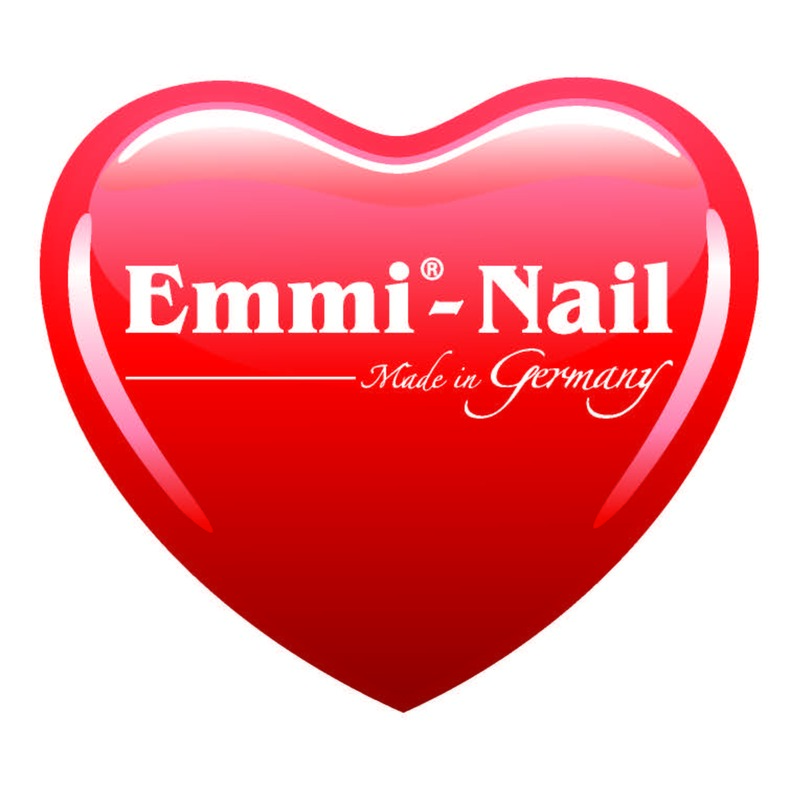 In case you want any additional information regarding the warranty, you may contact us on e-mail info@emmi-nail.si. Warranty should be made within 45 days of received goods, if failing that, it must be replaced with another equally and seamlessly product. All delivery charges during the warranty period are borne by the purchaser exercising the warranty. Shipments are sent by Post of Slovenia, while shipments should not be burdened with no redemption value. Unused and undamaged goods can be returned within 14 days of receipt, but you must notify us within 5 days of receipt of your shipment. You can notify us on our e-mail address info@emmi-nail.si or our address Strma pot 11, 2230 Lenart. Goods must be returned undamaged and in same condition and quantity as they were, when you received them. Items being returned must be completely unused, undamaged, clean and in original packaging with all accessories, which were enclosed. Within fifteen days after receiving the items, we will return you the purchase price back but that does not include the original cost of trade and shipping costs. Similarly, the buyer must also pay for the shipping costs when returning goods. Shipments within the return is mandatory transmitted through the same path, through the Post of Slovenia, while the shipment is not loaded with no redemption value. Such shipments to ransom in return are not accepted. Goods can be claimed, if the characteristics are not the same as promised by the seller, if we sent incorrect products in the wrong quantity, color, or are in any other way different from your order. Goods can be sent back within 7 days of purchase and can be requested an immediate replacement for the same flawless product. In the event of a claim, postal costs are borne by us, but we must be notified in advance, so that we will make sure that the courier will come to your home and pick up the goods. A different return on our expenses is not possible. We do not accept shippments with a ransom!